5/12/16- ​First grade students enhanced their study of the Great Barrier Reef by re-purposing old paver bricks. The students used the book Over in the Ocean to look at and identify fish that lived in the Barrier Reef. There was also discussion of the fish that are present in the Atlantic Ocean and those that may be present in both bodies of water. After the discussion, the students worked collaboratively using visual art elements and skills such as: drawing, color, line, shape, and painting to bring the old pavers back to life with art. Once the students were finished with their masterpieces, they placed them in our Reading Garden. The pavers are not only beautiful, they are a learning tool with the names of each fish on them. The students in the garden can learn about the fish in the Great Barrier Reef. May 12, 2016, first grade students re-purposed old paver bricks with paint and placed them in our schools reading garden. Two outdoor learning environments have been created to nurture all aspects of holistic child development. Each part of the environment integrates the social-emotional, physical, intellectual and aesthetic aspects. Within these areas, there are places for dramatic play, communication, collaboration, and a quiet/calm atmosphere. Other areas within the learning environment give students the opportunity to appreciate beauty, as well as to nurture and care for living things. All grade levels have utilized these spaces throughout the year. 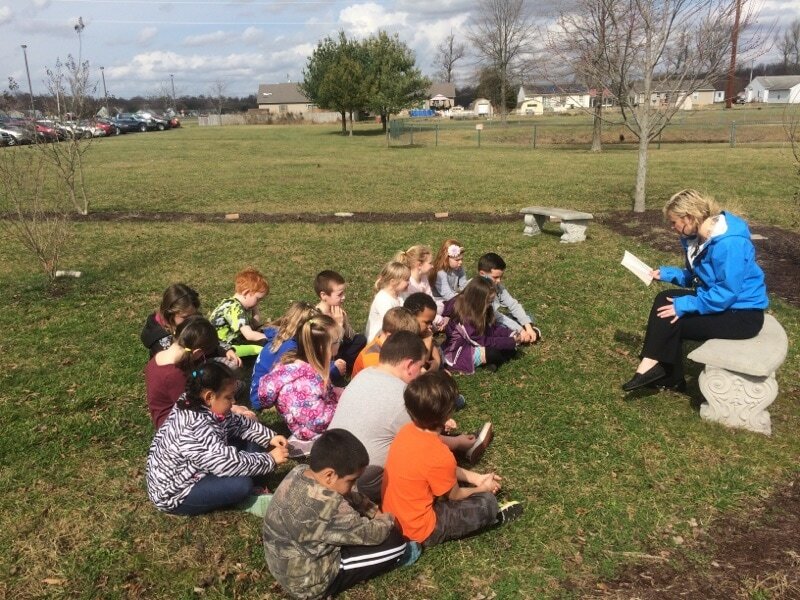 Throughout the 2016-2017 school year, teachers utilized the outdoor classrooms to implement instruction. In addition to instruction, some Chess Club meetings took place outdoors.